If one thing is clear, is that Middle-earth: Shadow of War is one of the most eagerly awaited games of the year. This makes sense taking into account how well-received its predecessor Middle-earth: Shadow of Mordor was back in 2014. Actually, developer Monolith’s action game was one of the year’s most pleasant surprises, featuring superb third-person gameplay and an original story set in the Lord of the Rings universe. You may be wondering why, though, given how well reviewed and loved by many gamers their earlier game was, Monolith chose not to name the sequel Shadow of Mordor 2? This was explained by the company’s Vice President, Michael de Plater, in a recent interview with IGN. “I guess we don’t worry too much about name recognition because gamers are pretty well informed”, said de Plater in the interview, adding that “representing the scale was really important. Being beyond Mordor was important. I think the name we were least interested in was Shadow of Mordor 2 because it’s just tacking the number on. It sounds like you’re a ‘1.5’”. Aside from the reasoning behind the name change, the Monolith VP also made it clear that Middle-earth: Shadow of War will be a harder game than its predecessor. This is because while players ended becoming overpowered by the end in Shadow of Mordor due to its more limited scope, here both your character and level of challenge will keep growing throughout the entire game. 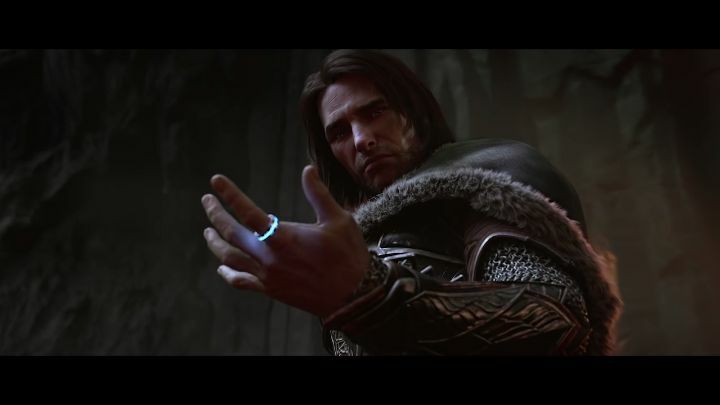 The orcs will give Talion no quarter in the upcoming Middle-earth: Shadow of War. 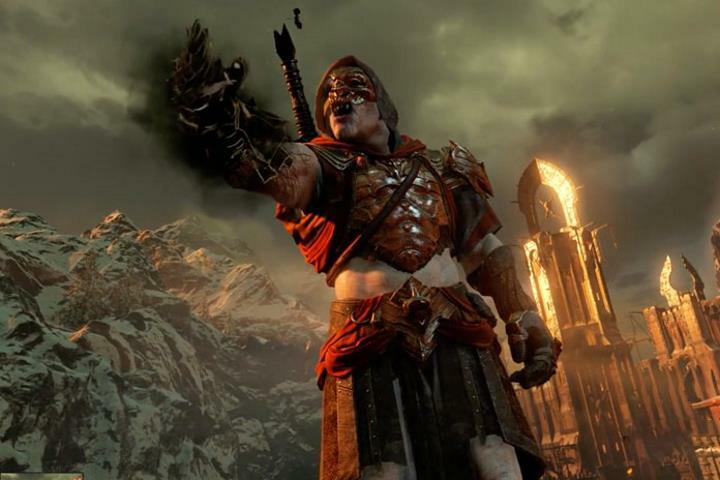 The game will feature three difficulty modes, with easy mode being great for those who want to play Shadow of War like Shadow of Mordor, enjoying the story and don’t minding if their character becomes an all-powerful, orc-stomping machine. The other difficulty modes will be more testing however, with de Plater saying in the IGN interview that “on Normal, we have the dynamic difficulty, so it is always going to stay challenging. On Hard mode, it should genuinely be really meaningfully hard”. Middle-earth: Shadow of War will also feature new powerful enemies from the Lord of the Rings universe, including the feared Ring Wraiths, also known as the Nazgul. These will be boss characters in the game and require different strategies to defeat. Regarding these enemies, de Plater said the team at Monolith has “added specific gameplay to each of the individual Nazgul in relation to their different boss fights as well. So whether you’re fighting them singularly or as a group”. There’s also a new ultra-powerful race of orcs known as the Olog-Hai, who will be as “elite and as powerful as possible”, and the “super soldiers” of the orc army. These will also form part of Shadow of War’s Nemesis system, meaning the Olog-Hai will remember players they defeat in duels, and you’ll end up forming bitter rivalries with these guys in Shadow of War. And taking into account that the Nemesis system was one of the most interesting aspects of the earlier Middle-earth: Shadow of Mordor, it’s certainly a good thing that it’s being fleshed out in the upcoming Shadow of War, a game that’s looking like it could be one of this year’s top action games when it hit the shelves in late August this year. Note: Middle-earth: Shadow of War will be released on August 22, 2017 in North America (August 25 in the EU). Available on PS4, Xbox One and PC.